The sun is starting to brighten our days. 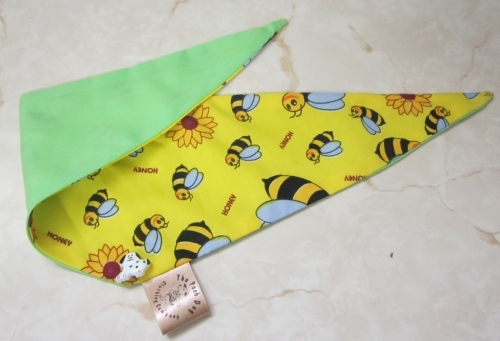 Add a flash of colour to your snuggle bunny with the gorgeous Bizzy bee fabric bandanna. I have this fabric in different sizes – with different colour linings – – if the size you need is out of stock – just email me – I do still have some of this left.